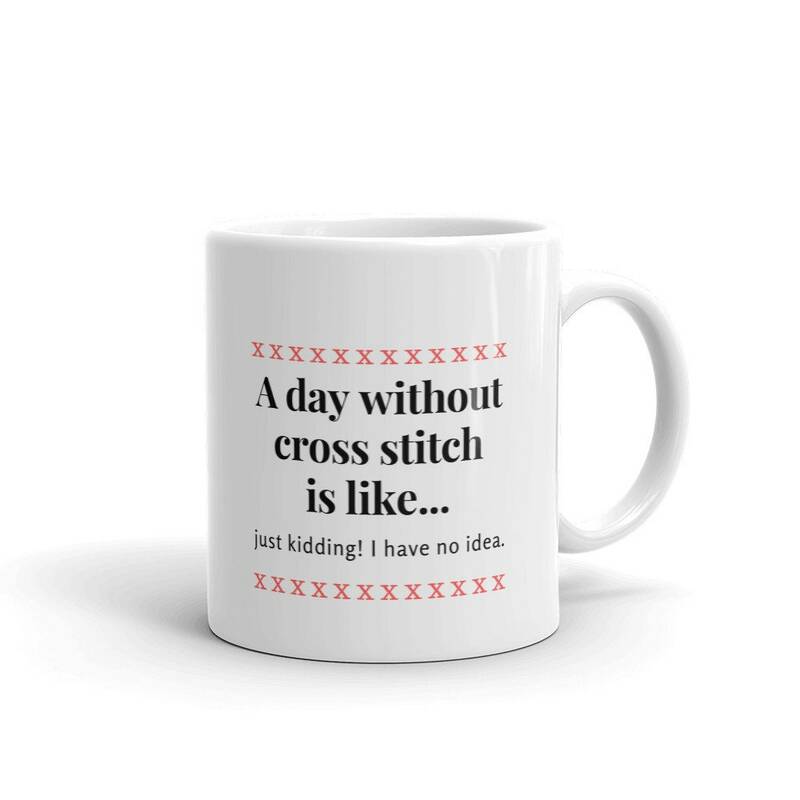 Let this funny coffee mug inspire you so that you never lose your love for cross stitch! 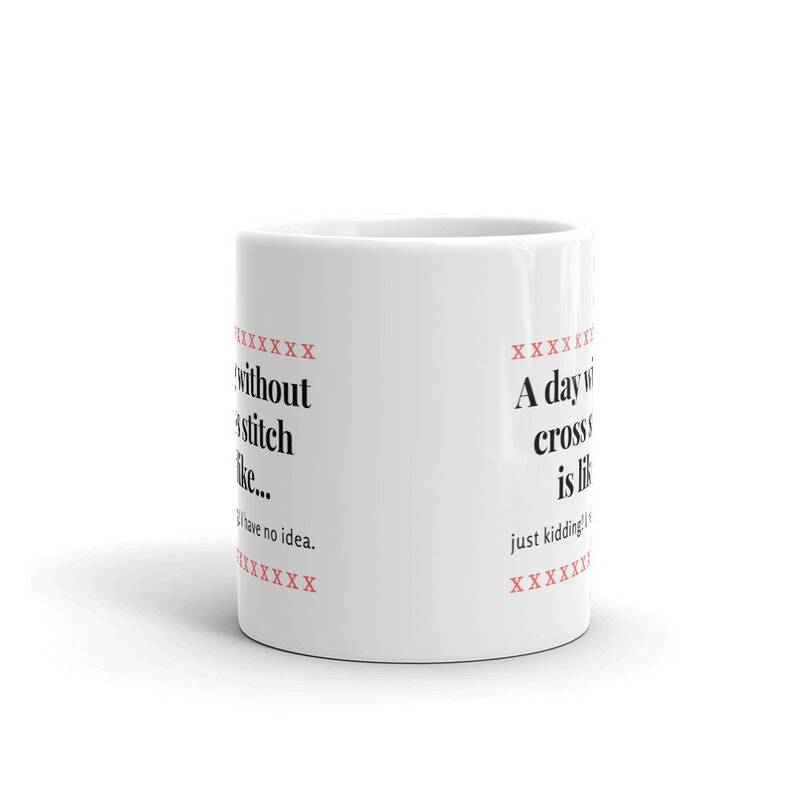 Whether you're drinking your morning coffee, evening tea, or something in between – this mug will give you a smile every time you use it. Made from sturdy glossy ceramic, it has a vivid print that'll withstand the microwave and dishwasher. 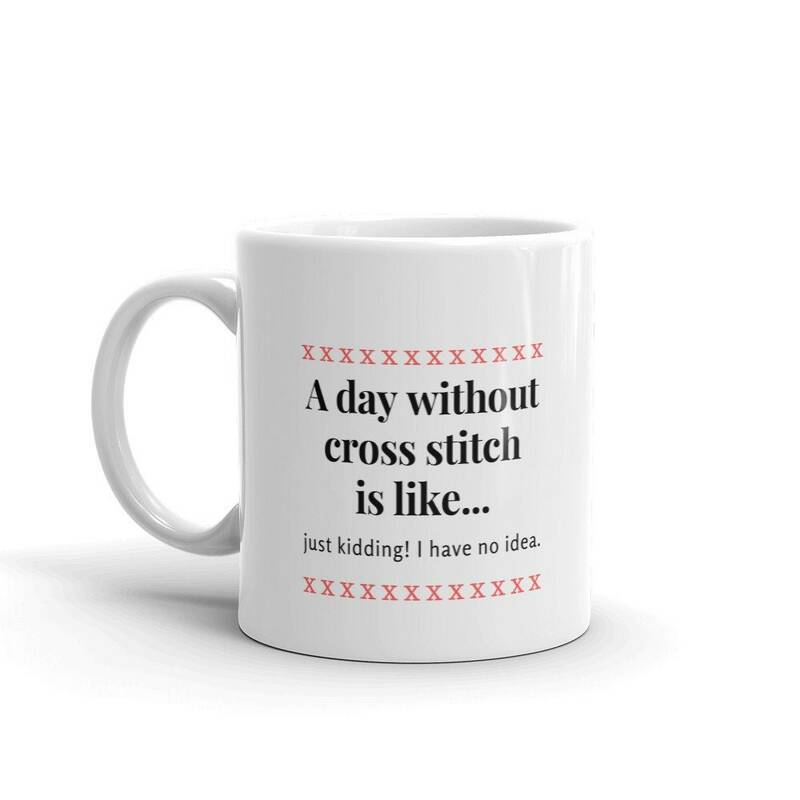 Makes the perfect Mother's Day gift for Mom or Grandma, or perhaps to someone who's newly retired and finally has the time to cross stitch!